You will be re-directed to the home page on this site after you click the <<Send>> button. We will respond to your request by email as quickly as we can. 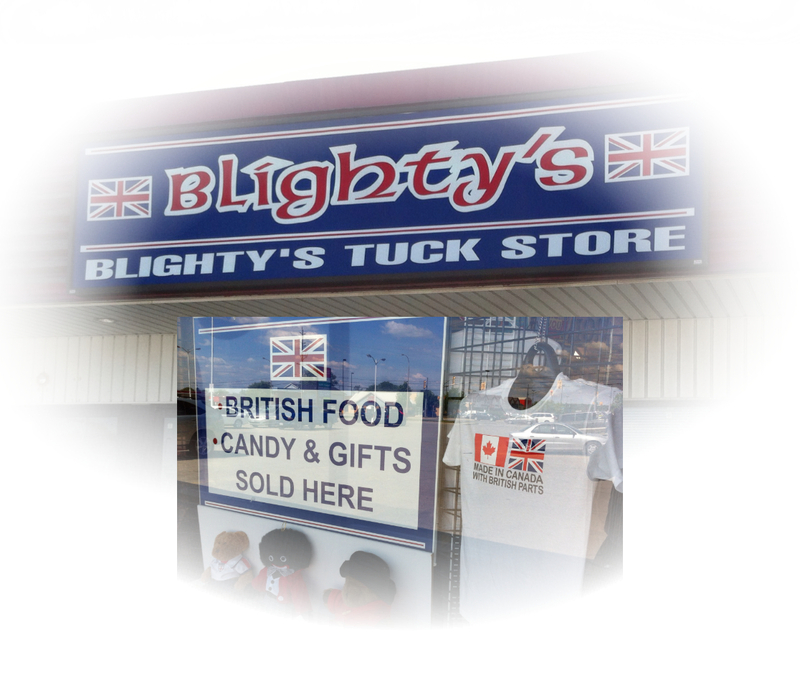 Take a panoramic look inside Blighty's Tuck Store. Orangeville is 80km NW of Toronto. Take 410 to 10 North. Find Blighty's in the Staples plaza.